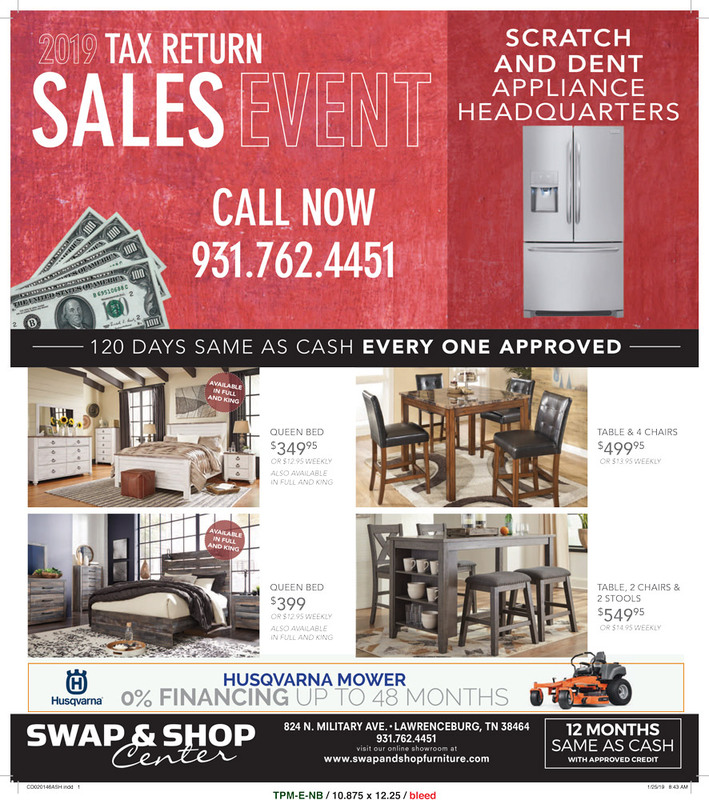 Stop In Today or contact us for our 2019 Tax Refund SALES EVENT! 120 days same as cash. Every one approved! Great deals on bedroom & dining furniture as well as sofas, mattresses, appliances and even gun safes!